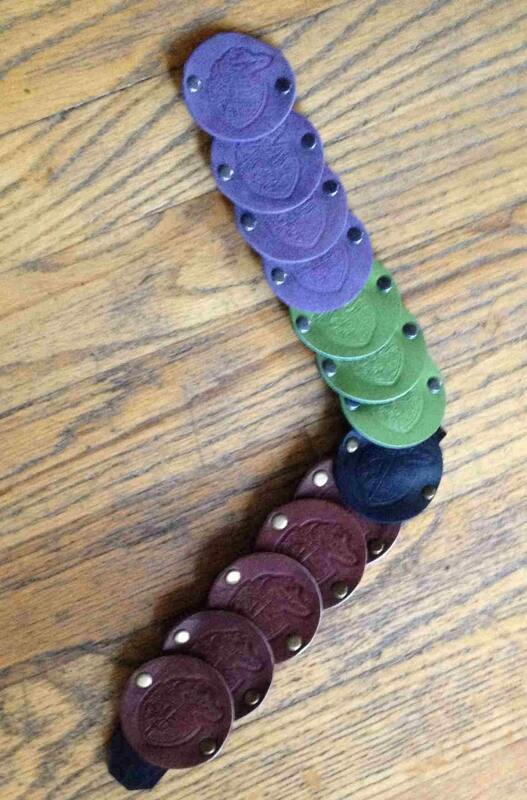 These "badges" are made by embossing my version of the Lost Girls Pirate Academy emblem onto leather. 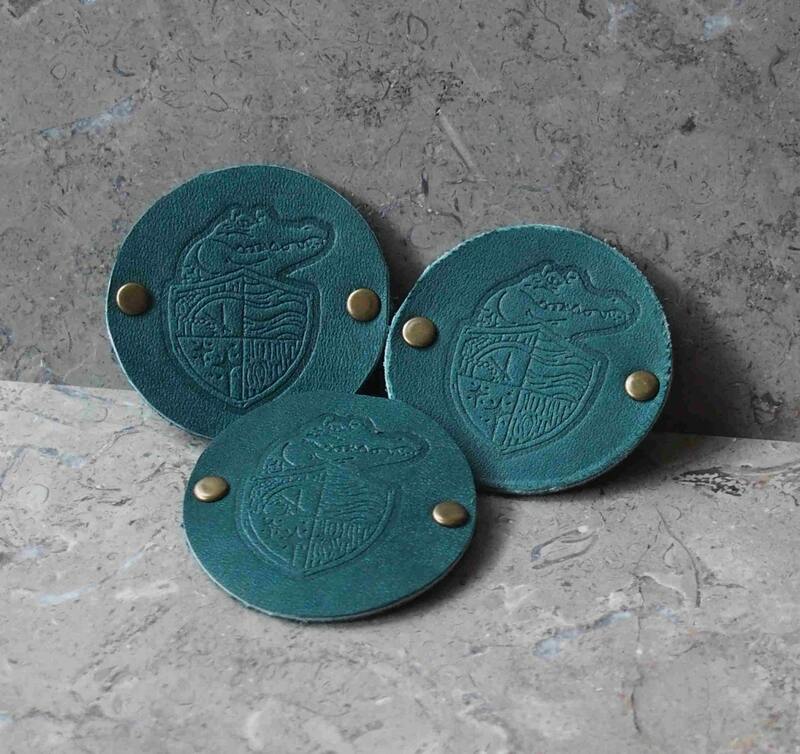 The design was originally made for SJ Tucker, I adapted it to create the full shield, and have versions for silk screening, and now have a version for embossing that is 1 1/2" high and 1 1/4" across shield to tip of croc's nose. 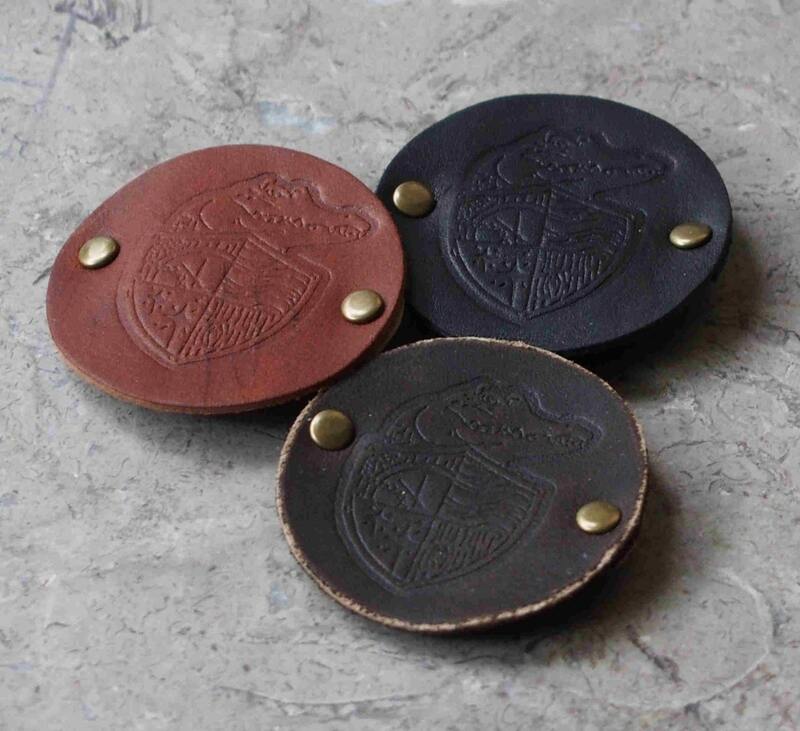 The leather badge is about 2" in diameter, and the back strap is 1/2" wide, and they are fixed together with 6mm or 7mm rivets. 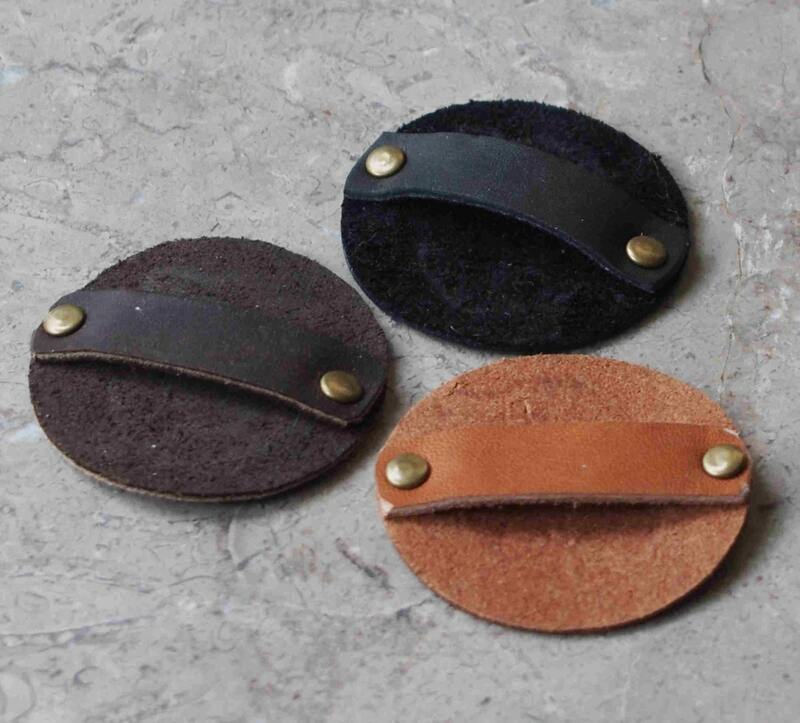 The color of the rivet is either antique brass or nickel, and unless you have a specific preference, I'll choose what I think best accents the leather. 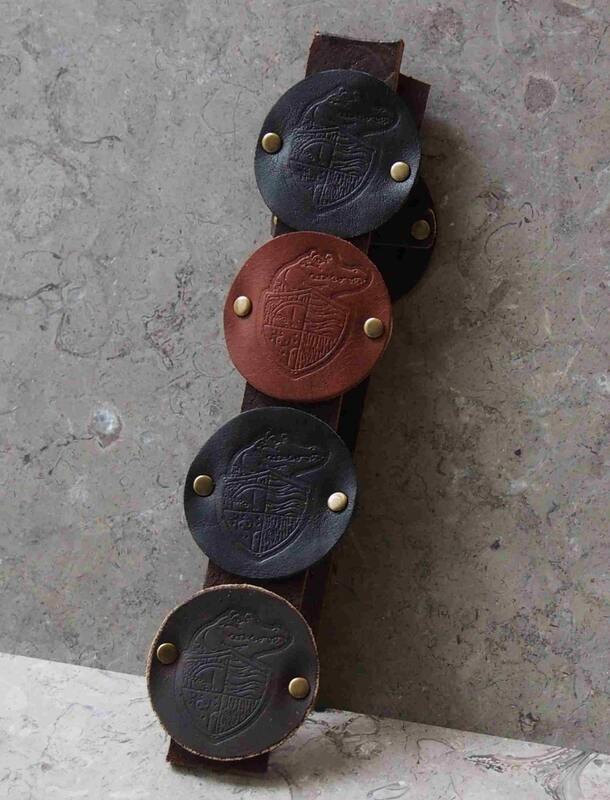 The badge is designed with ease in the strap (and are shown in photos 1 and 3 with the badges slid over a strip of 1/4" thick by about 1 1/4" wide leather). Photo 5 shows the back and the ease in the strap that allows it to slide over a strap, pony tail, or small pole (about 1 3/4" size) or to easily work with a safety pin to affix to what you want. Photos 1, 2, and 5 show the black, brown, and dark brown. The third photo shows the purple, apple green, black, and nut brown (apologies for poor quality, but this is from group being packed for SJ Tucker to take to FaerieWorlds). Even though this is shown in groups, this listing/price is for one badge. Need another a bigger size of leather to fit over something specific, or color, please ask! Shipping is based on USPS first class, but if you need another shipping option, please let me know.